WYB offers baseball and fastpitch options for all levels at all levels of competitiveness (Elite, Select and Recreational). The team formation for the Elite and Select levels (otherwise known as Tournament teams) occur in July of each year. If you are interested in playing at this level, please email the board at: Board@whitnallyouthbaseball.com. 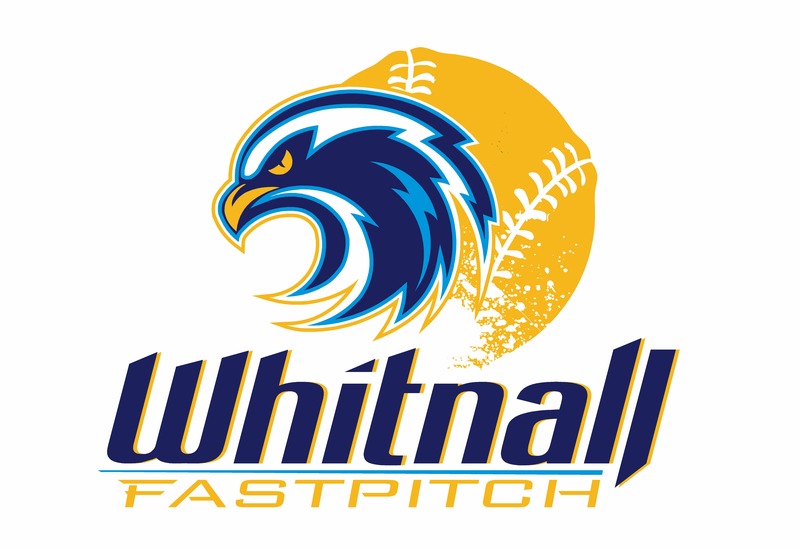 Leagues are now forming for Recreational Baseball and Fastpitch at Whitnall! WYB recreational leagues are made up of kids from K5 through 8th grade that are looking for a safe and fun local baseball and fastpitch experience. The leagues are managed and coached by local parents and provide opportunities for kids of all size and skill level to get to play and learn life and baseball / fastpitch skills and have fun with their friends doing it. The kids will have the opportunity to play on teams of 11 to 13 kids of varying ability, play in 10 to 12 games and participate in 2 to 4 "Spring training" practices. The details and costs by age level are summarized in the sections below. WYB is a 100% volunteer run and funded baseball and fast pitch club. To be part of the club, each family is required to participate in volunteering activities, fundraising events and pay league fees. For example: A family with 1 kid in the program: League fees would be $50 to $105 (depending on age level) plus the $160 fundraiser fee for a total of $210 to $275. Additionally, there is a $150 volunteering deposit that WYB requires a post dated check to be issued. The check will not be cashed unless you meet your volunteering requirements through out the year. By fulfilling the volunteer commitment and selling all 8 discount cards, the total cost to play at Whitnall could be as little as $50! Our fundraiser requires a $160 upfront commitment per family, regardless of how many kids you register. You will receive 8 value-packed coupon cards to sell at $20 a piece. If selling fundraiser cards is not your thing, you have the option to buyout of the process for $150. Our annual fundraiser helps with ongoing field maintenance and rejuvenation and upgrades to the parks. Schoetz Park is completely maintained by WYB, in accordance with the Village of Hales Corners, so every dollar raised through fundraising is used to maintaining the fields and park and providing the opportunities for the kids to participate in the leagues. Each family will also be required to fulfill a volunteer requirement. A post dated check (May 1st, 2017) for $150 will be required as part of your overall registration. This check will be cashed on May 1st, if you have not signed up for your volunteering requirements. Once you have completed your requirements the check will shredded or a new check will be issued to you if the deposit had been previously cashed. Each player will receive a team hat and jersey, which are yours to keep. Players will receive coaching from dedicated, local parents, instilling baseball and softball skills, along with life skills as well. Players will have "Spring Training" practices before they play in 10 to 12 regular season games. There is a year end tournament for all of our Boys and Girls divisions. Each recreational team is formed through the combination of player ages, previous playing experience and player evaluations from the previous year. With this process, tryouts are not required and WYB attempts to form leagues and teams that are as equal in ability as possible. New for 2017, we will NOT be processing team and/or coach requests. If a player or family has special circumstances, a request must be submitted to the WYB board for review and approval for special consideration during the team forming process. Registration for our 2017 Season ENDS ON April 1! Click here! Girls and boys at the 4K and 5K grade levels play a combination of coach pitch baseball and tee ball. There are 10 to 12 scheduled games per season where players bat through the line-up twice and every player scores. A safety (or Sof-Tee) baseball is used for practices and games. Each player gets to keep a uniform shirt and matching hat to show their Whitnall pride. All players get involved with the action on the field as coaches begin to instruct the basics of fielding, throwing, hitting and running the bases. And the best part is that your son or daughter will get an opportunity during the season to hit a Grand Slam Home Run! Note: There will be at least one separate girls team if numbers allow it. 1st and 2nd grade boys begin to compete at this level and play on a diamond with 60 foot bases and a pitching distance of 36 feet. Players pitch, outs are made, and the score is kept. Players play with a safety ball that is the same size and weight as a hardball. Players are instructed during practices and prior to games about proper technique on throwing, approaching a ground ball, fly balls, hitting stance, and basic situational baseball. Coaches always emphasize the important life lessons of sportsmanship and teamwork. Each player gets a uniform shirt and a hat to keep. All players play in the field at all times and teams use a continuous batting order. There are 10 to 12 scheduled games plus an end of season tournament. Games are 5 innings in length and there is a time limit to keep games about 2 hours in length at most. You will see some amazing progress from the beginning of the season to the end! 3rd and 4th grade boys start to transition towards playing real baseball at this level. Players learn how to steal bases and learn how to bunt while playing with a hardball. Pitchers move back to the Little League level of 46 feet, while maintaining a base distance of 60 feet. Teams bat a continuous line-up with 10 players in the field at a time, including 4 outfielders and playing time is close to even for players. Coaches continue to instruct players on proper throwing technique, fielding ground balls, locating and catching fly balls and hitting, while emphasizing the important life lessons of sportsmanship and teamwork. Each player gets a shirt and a hat to keep. There are 10 to 12 scheduled games plus an end of season tournament. Games are 6 innings in length and there is a time limit to keep games at about 2 hours in length at most. While we continue to focus on letting the players learn and have fun, games become more competitive at this level. 5th and 6th grade boys play on a diamond with 70 foot bases and a pitching distance of 50 feet. Players learn how to lead-off and steal bases just like a “Major” League ball player, with pitchers now focusing on how to pitch out of the stretch and wind-up. Teams bat a continuous line-up with 9 players in the field at a time, and playing time is close to even for players. Each player gets a shirt and a hat to keep. There are 10 to 12 scheduled games plus an end of season tournament. Games are 6 innings in length and there is a time limit to keep games at about 2 hours in length at most. There are still many opportunities for the players to learn baseball skills, but games are much more competitive and even played against teams from other communities. 7th and 8th grade boys play real baseball utilizing most of the National Federation of High School rules, which includes leading off, stealing, and bunting. Pitchers have the additional challenge of moving back to the Major League distance of 60 feet, 6 inches on a regulation pitching mound and hitters now have to hustle 90 feet to leg out that single to the hole. Players continue to be instructed during practices and prior to games on some of the basic skills and fundamentals, but are now working on additional advanced techniques and more situational baseball than they have in any of the other levels. As a community based league, our coaches continue to teach the life skills of sportsmanship and teamwork. Teams bat a continuous line-up with 9 players in the field at a time, and playing time is close to even for players. Each player gets a shirt and a hat to keep. There are 10 to 12 scheduled games plus an end of season tournament. Games are 6 innings in length and there is a time limit to keep games about 2 hours in length at most. This is as close to real baseball as it gets! 1st and 2nd grade girls begin to compete at this level and play on a diamond with 60 foot bases and a pitching distance of 35 feet. Players pitch, outs are made, and the score is kept. Players play with an 10 inch softball. Players are instructed during practices and prior to games about proper technique on throwing, approaching a ground ball, fly balls, hitting stance, and basic situational softball. Coaches always emphasize the important life lessons of sportsmanship and teamwork. Each player gets a uniform shirt and a visor to keep. All players play in the field at all times and teams use a continuous batting order. There are 10 to 12 scheduled games plus an end of season tournament. Games are 5 innings in length and there is a time limit to keep games about 1 ½ hours in length at most. You will see some amazing progress from the beginning of the season to the end! 3rd and 4th grade girls start to transition towards playing real softball at this level. Players learn how to steal bases and learn how to bunt while playing with an 11 inch softball. Pitchers will pitch from a distance of 35 feet, while maintaining a base distance of 60 feet. Teams bat a continuous line-up with 10 players in the field at a time, including 4 outfielders and playing time is close to even for players. Coaches continue to instruct players on proper throwing technique, fielding ground balls, locating and catching fly balls and hitting, while emphasizing the important life lessons of sportsmanship and teamwork. Each player gets a shirt and a visor to keep. There are 10 to 12 scheduled games plus an end of season tournament. Games are 6 innings in length and there is a time limit to keep games at about 2 hours in length at most. While we continue to focus on letting the players learn and have fun, games become more competitive at this level. 5th and 6th grade girls play on a diamond with 60 foot bases and a pitching distance of 40 feet. Players learn how to lead-off and steal bases just like a professional softball player, with pitchers now focusing on the drive and windmill pitch with a 12 inch softball. Teams bat a continuous line-up with 9 players in the field at a time, and playing time is close to even for players. Each player gets a shirt and a visor to keep. There are 10 to 12 scheduled games plus an end of season tournament. Games are 7 innings in length and there is a time limit to keep games at about 2 hours in length at most. There are still many opportunities for the players to learn softball skills, but games are much more competitive and even played against teams from other communities. 7th and 8th grade girls play real softball utilizing most of the ASA and WYB rules, which includes leading off, stealing, and bunting. Bases will remain at 60 feet. Pitchers will pitch 40 feet from the back of home plate. Players continue to be instructed during practices and prior to games on some of the basic skills and fundamentals, but are now working on additional advanced techniques and more situational softball than they have in any of the other levels. As a community based league, our coaches continue to teach the life skills of sportsmanship and teamwork. Teams bat a continuous line-up with 9 players in the field at a time, and playing time is close to even for players. Each player gets a shirt and a visor to keep. There are 10 to 12 scheduled games plus an end of season tournament. Games are 7 innings in length and there is a time limit to keep games about 2 hours in length at most. This is as close to professional softball as it gets!